Loved for their sleek, contemporary appearance, aluminium bi-fold doors are by far one of the most desirable home improvement products. In recent years we have seen a huge demand for this particular style of door in King’s Lynn and the surrounding Cambridgeshire towns. 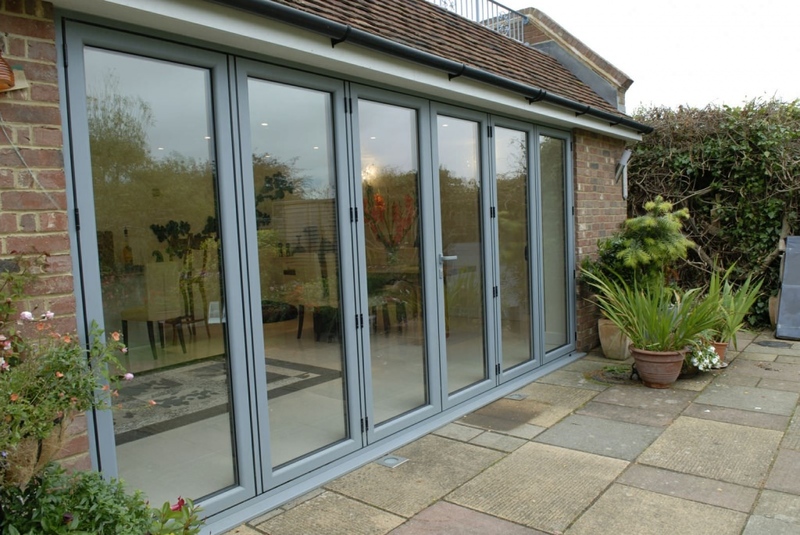 Aluminium bi-fold doors are a luxurious product, designed to maximise the light entering your property, and massively improve the security and energy performance. No other product does this in a more aesthetically pleasing or focused way. Aluminium bi-fold doors set the bar high for performance and appearance alike. In regards to styling, our aluminium bi-fold doors succeed in creating an entrance that brings the outside world into your property. Creating an entrance which is truly a welcoming site, a seamless bond between home and garden, flooding your home with natural light. This is the perfect entrance for homeowners who enjoy entertaining guests outside thanks to the low threshold option. Easy access for prams, wheelchairs and anyone who has mobility issues. 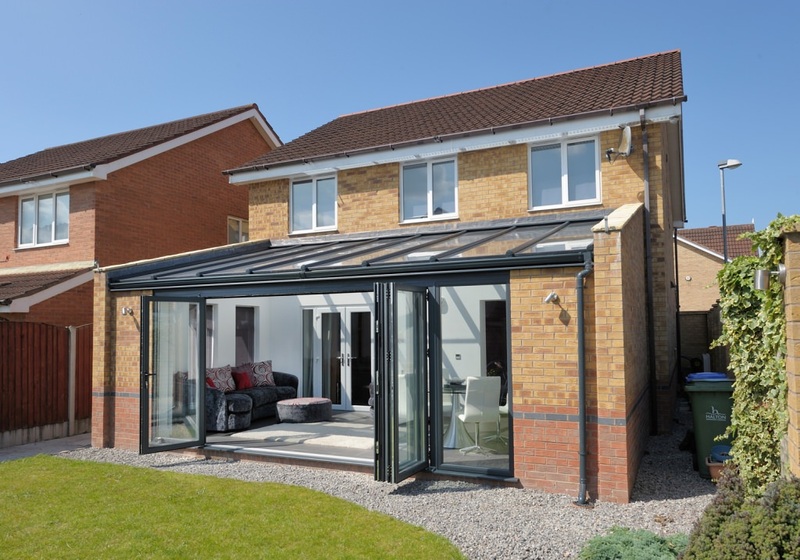 It goes without saying that aluminium bi-fold doors benefit from having a huge glass coverage area. Which is all well and good, but what are the benefits of having a larger glass coverage area anyway? On top of creating an attractive transparent wall, the glass used in aluminium bi-fold doors primary benefit is to target energy wastage. To do this, we use the energy focused glass to reduce heat transfer between your King’s Lynn home and the outside world. The finishing touch to a design which is as beautiful as it is practical and effective. Aluminium bi-fold doors are synonymous with modern design so if you are planning on adding a contemporary feature to your home, then these doors will add great value. Their unobtrusive, modern aesthetic allows for maximum visible glass. Say goodbye to any dark spots in your property. Welcome light in. Our aluminium bi-fold doors can be specified to open inwards or outwards, depending on your requirements. With over 200 aluminium RAL colours available, matching doors to home has never been simpler. Dual colours are also available, allowing for one colour externally and another on the internal profile. Choose from a range of door furniture options. We have a choice of standard colours and finishes with the option to colour match the colour of your doors. 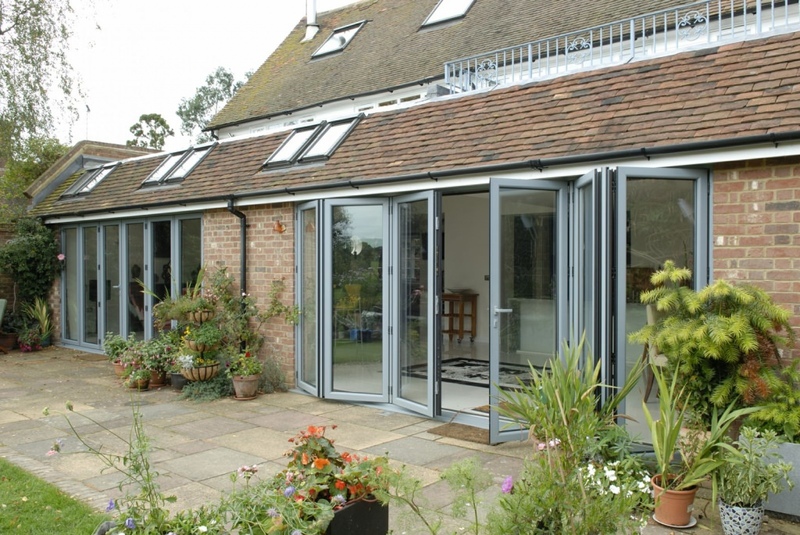 Our aluminium bi-fold doors open effortlessly, gliding on stainless steel rollers allowing for unrestricted access. Their smooth contours and clean lines create an attractive aesthetic which will complement any type of home. Our aluminium bi-folding doors are available in low threshold options to create a seamless transition between spaces. Low thresholds are useful in homes where accessibility is important. They prevent the user from having to step over a threshold – a helpful feature when you consider you are designing a home for life. Our low threshold option is perfect for wheelchairs, prams and the elderly. It is the combination of functionality, performance and appearance that makes our aluminium bi-fold doors a must-have your King’s Lynn property. As a material, aluminium is incredibly strong and because of this, they can carry larger and heavier pieces of glass on thinner frames. Aluminium is also 100% recyclable and so our doors are especially suitable for properties where sustainability is key. The dense nature of the material allows you to benefit from both style and security. 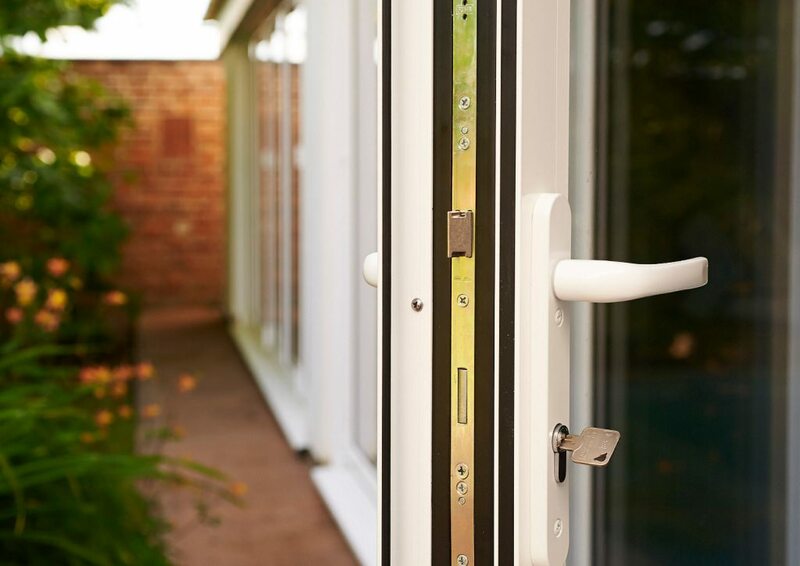 All our doors are installed with a top of the range locking system and have been tested and designed with security in mind. Multi-point locks are fitted to master sashes as standard, with shoot bolt locking on all sliding mullions. 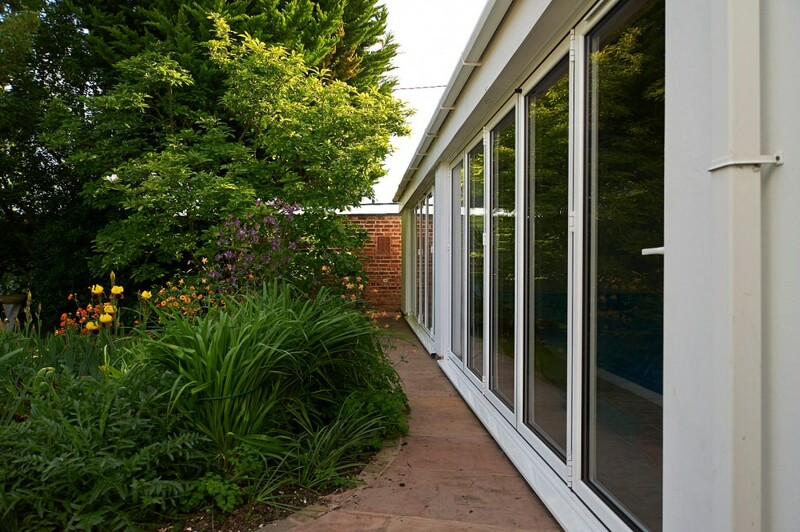 Increase the perception of continuous space with our aluminium bi-fold doors. Bi-fold doors can create the perfect link between indoors and out. When open they offer uninterrupted enjoyment of your garden and when closed, they provide a seamless view of the outside. Not only great for connecting outside spaces, bi-folding doors can be used internally to create two separate spaces. Unlike walls they will let the light flow between rooms and when entertaining, they can be pulled right back, creating an open-plan space. Transform your living room, bedroom, kitchen or conservatory. With our aluminium bi-fold doors, you have a world of choice. 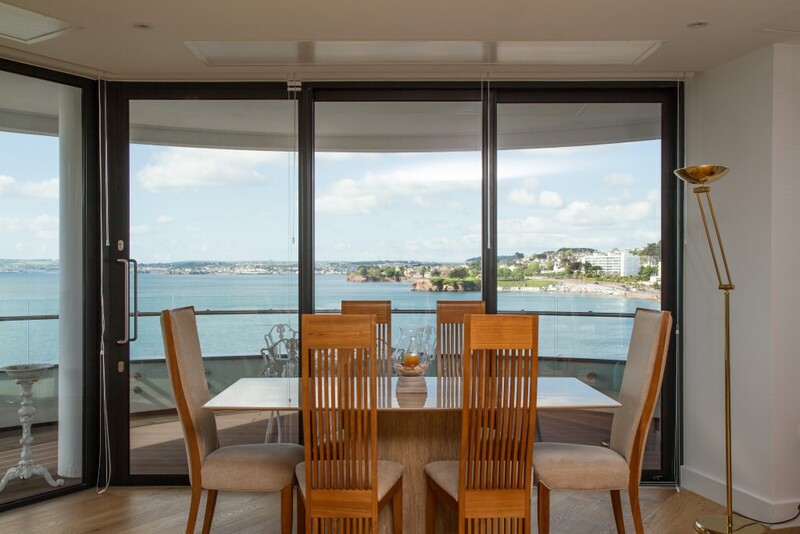 Art On Glass has invested in the most sophisticated and advanced quotation software to enable our customers to generate prices for bespoke aluminium bi-fold doors in just two minutes. Get your free no obligation quote today. If you would like further information about our aluminium bi-fold door options, please get in touch with us today. You can call us on 01354 655200, email dan@aogwindows.co.uk or use our contact form.